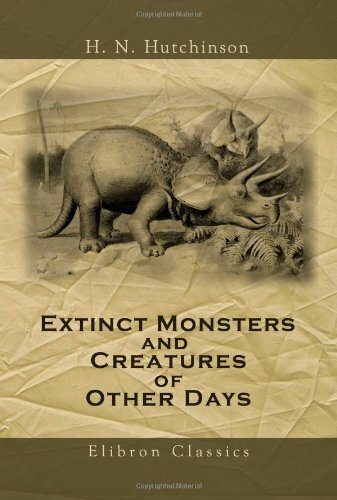 The object of this book is to describe some of the larger and more monstrous forms of the past -- the lost creations of the old world; to clothe their dry bones with flesh, and suggest for them backgrounds such as are indicated by the discoveries of geology: in other words, to endeavour, by means of pen and pencil, to bring them back to life. This landmark work on evolutionary theory marked a turning point in the history of science with its vision of human nature as the product of evolution. Darwin argued that the noblest features of humans were the result of the natural processes. This book provides a historical review of biological aging theories including underlying evolution and genetics issues and describes exciting recent discoveries and new theories that are causing renewed interest in aging-by-design. Published amid a firestorm of controversy in 1859, this is a book that changed the world. It offers coherent views of natural selection, adaptation, the struggle for existence, and other concepts that form the foundation of evolutionary theory. Evolution unites all the fields of biology under one theoretical umbrella. This book is a brief introduction to evolutionary biology. The author attempts to explain basics of the theory of evolution and correct many of the misconceptions.